Most everyone knows that problems cause stress Sometimes we can remove ourselves from external stress, but internal stress from unconscious beliefs and hidden fears is ongoing. It sabotages our well-being, blocks us from achieving our goals, and keeps us captive to past critical thoughts and negative behaviors. You are welcome to bring your anger, frustration, fear of success or failure, addictions, or any emotional issue to learn a process that will lead you to uncover their hidden treasures and release their hold on your life. Additionally, the process you experience will be more than helpful to use with clients. 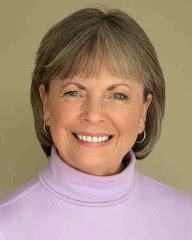 Judith Fraser, LMFT, is a UCLA Theater Arts graduate and has been a marriage and family therapist for the past 27 years. As a therapist, she specializes in ACA issues, relationship issues, anxiety, stress, grief, and life changes. Judith uses creative processes that encourage individuals to listen to the intelligence in the body/mind/spirit. She has presented workshops and weekend retreats in Body Awareness, Focusing, Spontaneous Writing, and the Medicine Wheel at various centers in Orange County as well as Los Angeles for the past 25 years. As an actress she has appeared in over 25 televisions shows, six films, and various theater works and commercials. As a writer her works have appeared in: Chicken Soup for the Soul, (The Magic of Mother’s and Daughters and Healthy Living Series-Stress), Chocolate for a Woman’s Heart, (A Walk on the Wild Side); Chocolate for a Woman’s Spirit, (My Special Bridge); Faith, Hope & Healing,(inspiring Lessons Learned from people living with Cancer by Bernie Siegel); The Los Angeles Times (Alone in the Woods - Bearly); as well as various healing articles for chapters of the California Association of Marriage and Family Therapists (CAMFT).